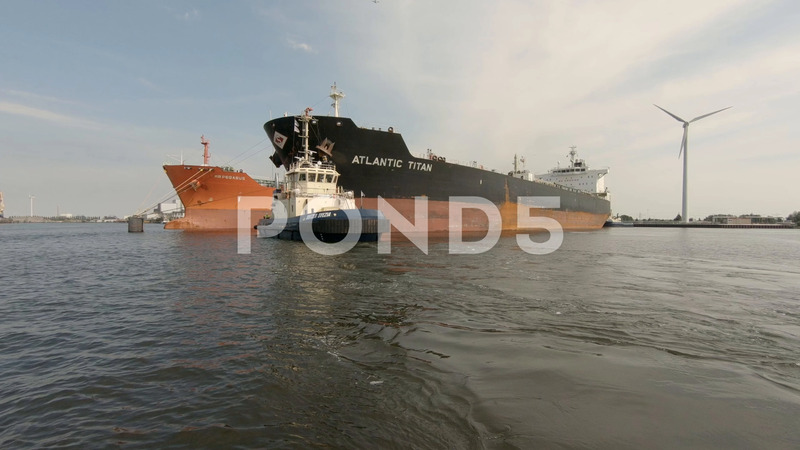 Description: Port of Amsterdam, Noord-Holland/Netherlands -July 02-07-18- Fuel tanker is moored on the jetty and is ready for departure to sea. The tugboat alongside wil assist during maneuvering operations. 4K.